Floral patterns and details give a fresh, dainty vibe to your summer wardrobe. Take a look at Ruche's dresses and accessories that'll bring out the girly girl in you. Less is more. The subtle rosettes add just enough sweetness to this babydoll dress. 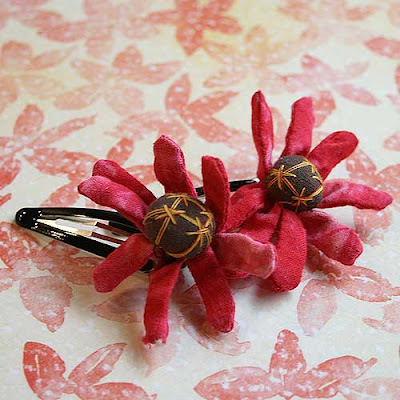 Floral hair clips in bright colors add punch to basic ensembles. Floral prints against a solid primary color make this dress look more vibrant. Let bold blossoms and delicate blooms liven up your closet!